The House of PainT event brings the four elements of hip hop together – with writers covering concrete walls while DJs and MCs fill the air with beats & rhymes and bboys, bgirls an’ their crews throw down. Concession stands sellin’ art, clothes and crafts by local artists, a community BBQ serving summer foods, a kids corner and workshops teachin’ mural painting, breakin’, DJin’ and the history of hip hop and urban life in Canada and the world. The event started in 2003 as a celebration of the creation of Ottawa’s first Free Zone for Legal Art. Since then it’s become a yearly event under the bridge, bringing Ottawa’s grassroots hip hop community together for Ottawa’s dopest old school block party style summer event! 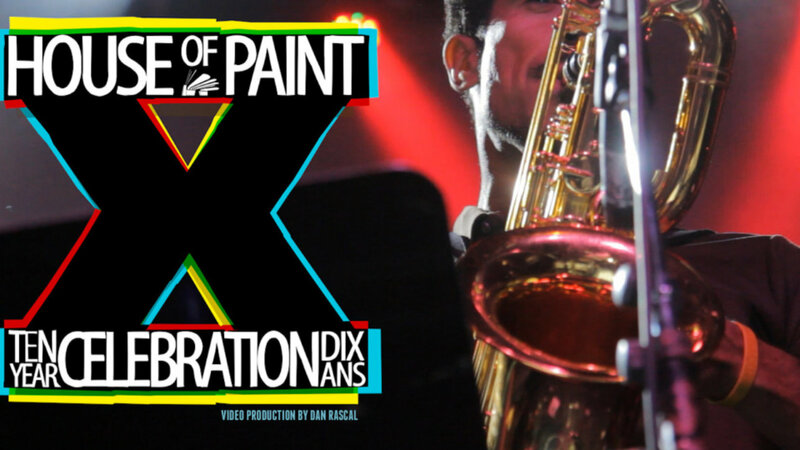 We are extremely excited to be producing a series of videos for House of Paint 2013 being held in Ottawa Canada / Sept 11-15. Ten years strong, the festival continues to celebrate the 5 elements of hip hop through 5 days of Graffiti, Breakdancing, Live Performance and Knowledge Workshops. The OG 500 Poetry Slam, Performances by Big Daddy Kane &amp; DJ Afrika Bambaataa and A B-boy finale featuring a live set from The Souljazz Orchestra.